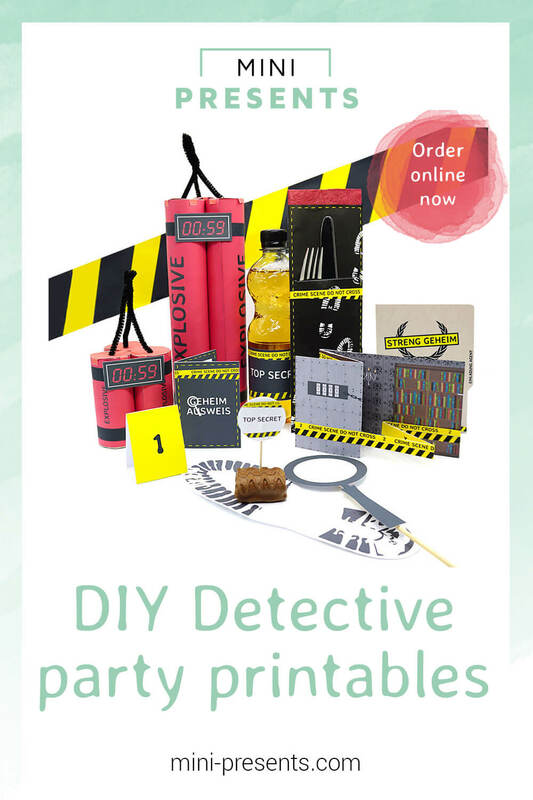 mini-presents Onlineshop | DIY detective party decoration for mystery dinner or escape room parties | Digital DIY craft ideas – Gift ideas & party decoration for crafting. 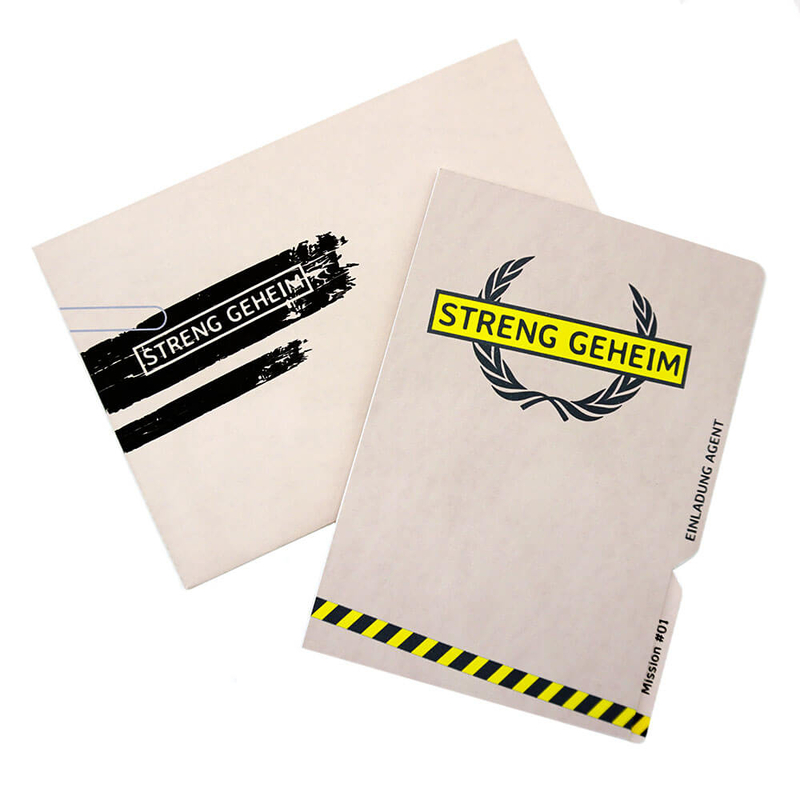 Texts in english and german. 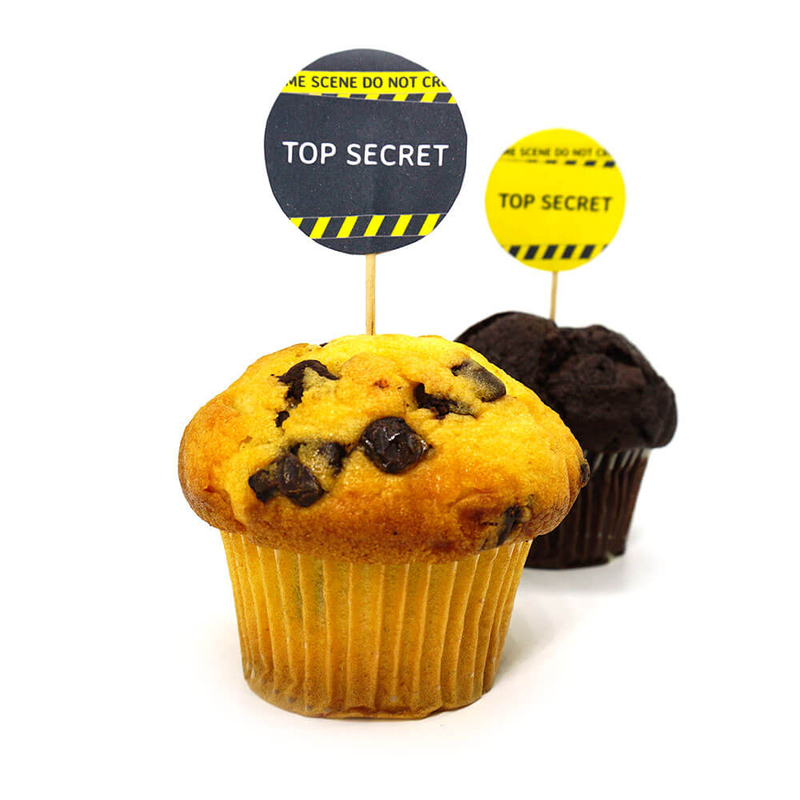 Instant download, print it & craft it. 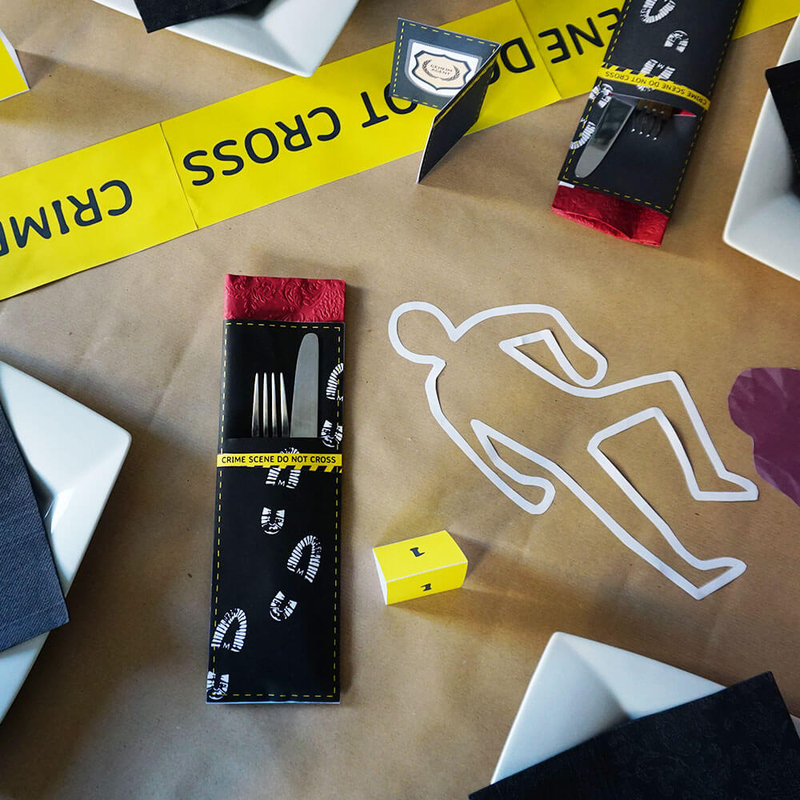 Turn your mystery dinner into a detective party with my digital DIY party decoration. 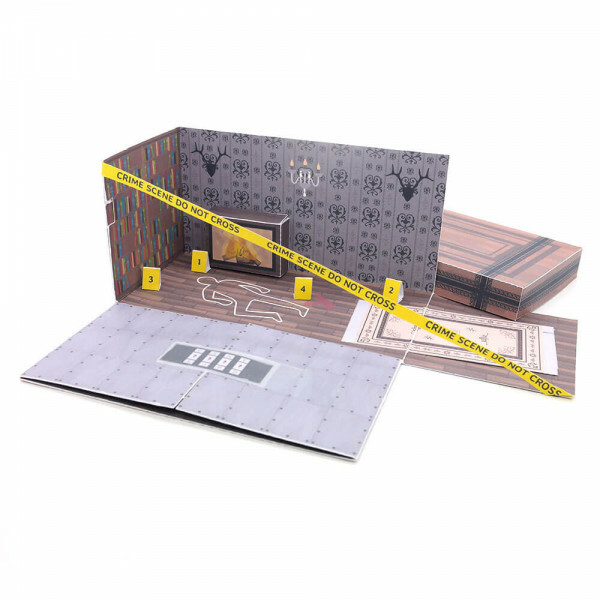 Save 38% compared to the single purchase! 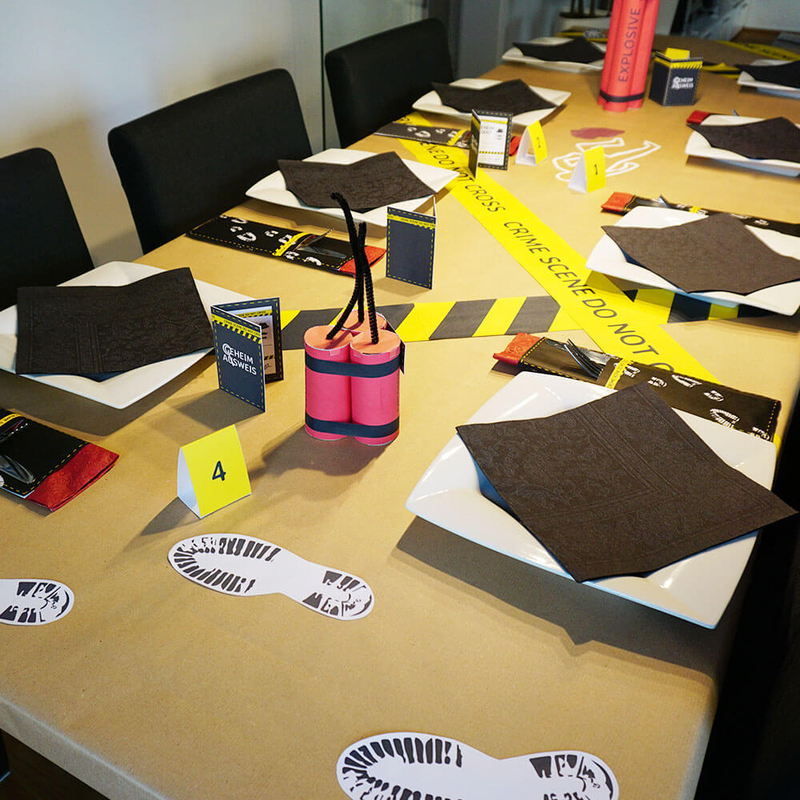 Are you planning a crime dinner and still need the perfect party decoration? 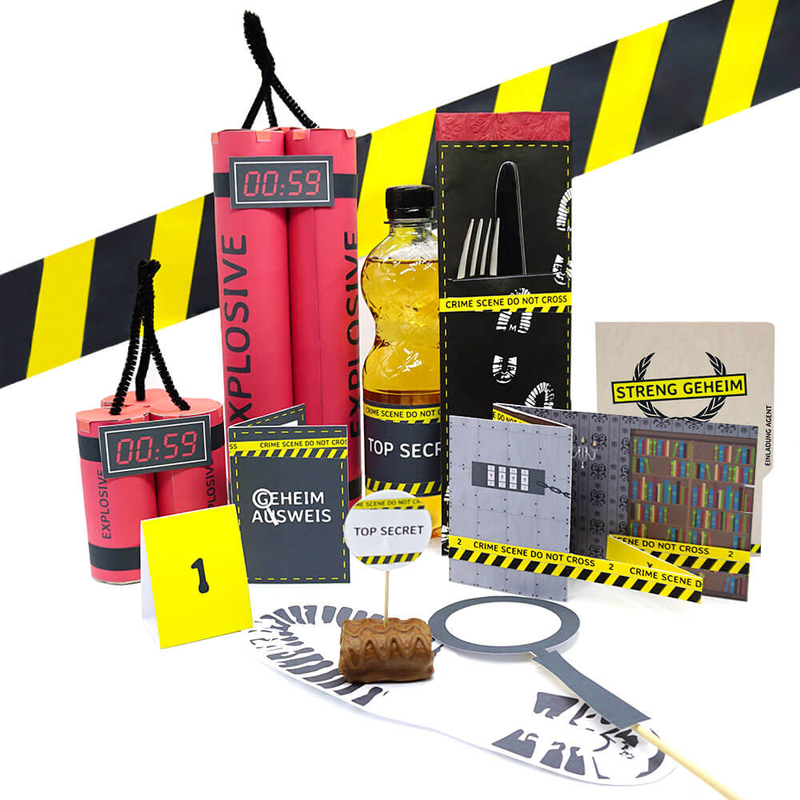 Or would you like to treat your friends with an escape room surprise party? 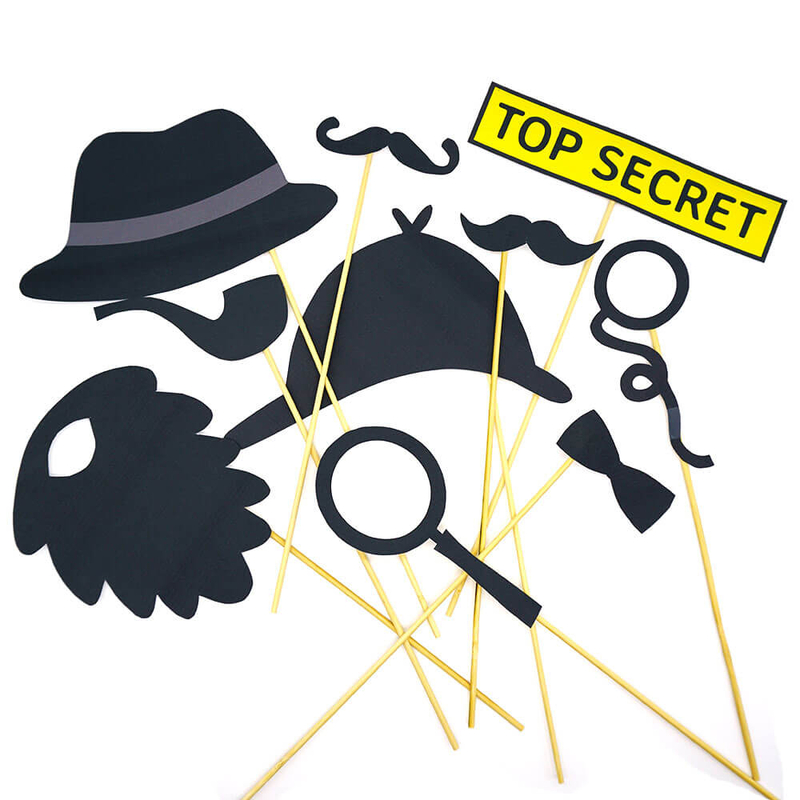 With my printable digital template your theme party is decorated in no time. 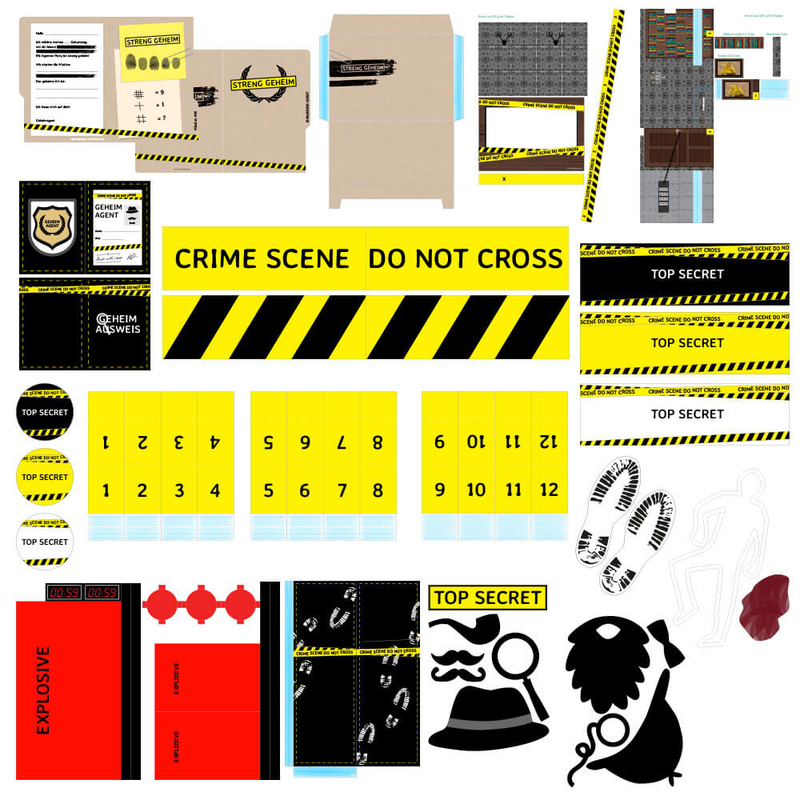 Use the Printables to conjure up a nice table decoration for your birthday or for a mystery dinner! 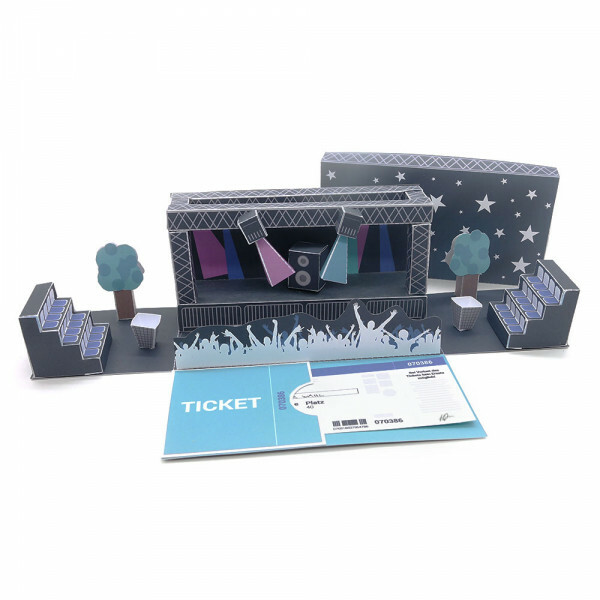 The DIY decoration for printing is also ideal as a last minute party decoration. 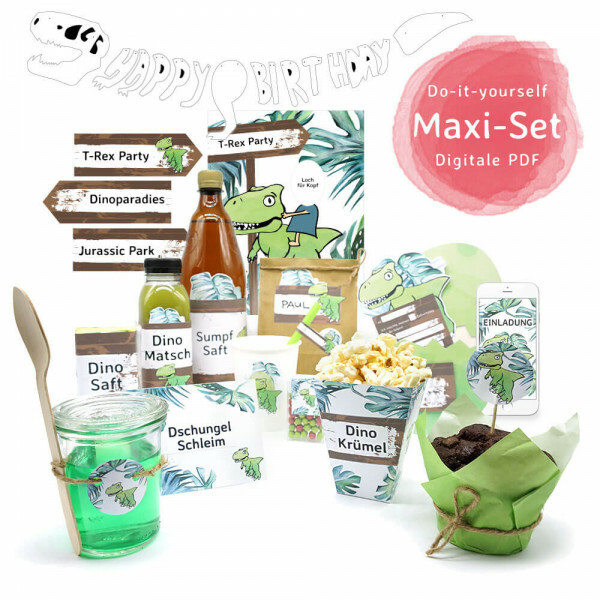 Do-it-yourself dinosaur party decoration "Maxi-Set"